I wrote earlier about the underlying issues in the Amazon vs. Hachette dispute. A few years ago he was reduced to returning bottles and cans for grocery money. Now his Amazon earnings pay for lengthy stays in Italy and Paris, as well as expeditions to the real Amazon. “I go wherever I want, do whatever I want and live however I want,” he said recently at a bar in Mill Valley, Calif., a San Francisco suburb where he was relaxing after a jaunt to Nepal. Mr. Zandri, who 15 years ago had a $235,000 contract with a big New York house that went sour, has an answer. Amazon believes that publishers take too much of the money in producing a book and add too little value. In traditional publishing, the highest royalty a writer could get was 15 percent of the book’s price. With e-books, the royalty is 25 percent of net revenue, but Amazon feels that is still not enough. Mr. Zandri gets 35 percent, and self-published writers who use Amazon’s platform get more. In interviews, for the first time, executives from Amazon and Hachette explicitly described their positions. Amazon favors a price of $9.99 for many e-book titles, while Hachette and other publishers want to charge more. 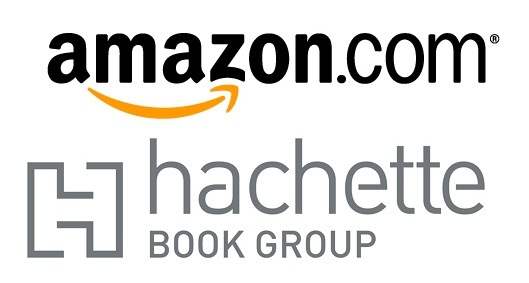 Sixty percent of Hachette’s e-book sales in the United States occur on Amazon. From the point of view of legacy publishers, they have bought their oligopoly fair and square, and anything they can do to slow change which threatens to take control away from them is good. The 4-5 big publishing conglomerates control most print sales and distribution, which for blockbusters is still wildly profitable, and the complex legacy system with its agents, publishers, distributors, and bookstores is being eroded by lower-cost ebooks and authors-as-publishers. So while they lose some revenue by overpricing ebooks and stiff the authors of royalties, they delay the transition to the much lower cost structure of ebooks. The gatekeeping function of legacy publishers will have to arise in some sort of online reviewing and quality screening function. Amazon reviews are now used for this for both Amazon and other sites (which don’t do enough volume to have any depth of reviews except for the biggest-selling books.) Amazon recently purchased Goodreads, which was an attempt at an independent user review site, so it still controls most online customer reviews. Also amusing: The Many Good Reasons Not to Write a Novel. Another good read: Mad Genius Club on declining author income vs. publisher profits.